AMBUSH, based in New Orleans, entered its 36th year of publication with its January 2, 2018, issue. BAY AREA REPORTER, based in San Francisco, entered its 48th year of publication with its January 4, 2018, issue. BAY WINDOWS, based in Boston, entered its 36th year of publication with its December 7, 2017, issue. BETWEEN THE LINES, based in Livonia, Mich., entered its 26th year of publication with its January 4, 2018, issue. THE EAGLE, based in Indianapolis, entered its 27th year of publication with its December 2017 issue. It also switched format, from a newspaper to a magazine, with its January 2018 issue. ECHO MAG, based in Phoenix, printed its 700th issue, dated January 2018. THE GAY & LESBIAN REVIEW, based in Boston, entered its 25th year of publication with its January/February 2018 issue. GAY CITY NEWS, based in New York City, entered its 17th year of publication with its January 4, 2018, issue. GAY SAN DIEGO entered its ninth year of publication with its January 5, 2018, issue. GLOSS, based in San Francisco, entered its 16th year of publication with its January 5, 2018, issue. GRAB MAGAZINE, based in Chicago, entered its ninth year of publication with its January 9, 2018, issue. HOTSPOTS, based in Oakland Park, Fla., entered its 33rd year of publication with its January 4, 2018, issue. ION ARIZONA, based in Phoenix, entered its 33rd year of publication with its January 2018 issue. FAY JACOBS, whose work regularly appears in LETTERS FROM CAMP REHOBOTH and DELAWARE BEACH LIFE, has been awarded for her new book, “Fried & Convicted - Rehoboth Beach Uncorked.” The book has been named of the top three LGBT Books of the Year for 2017 by the International Rainbow Awards. 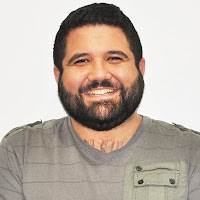 SHAUN KNITTEL, staff writer and associate editor of SEATTLE GAY NEWS, has relocated to his hometown of Las Vegas, with his husband YEE-SHIN HUANG, after eight years with the newspaper. LEFT MAGAZINE, based in San Francisco, entered its fifth year of publication with its January 2018 issue. CHIP LEWIS is the new director of communications at NMAC, formerly the NATIONAL MINORITY AIDS COUNCIL, based in Washington, D.C. THE LOS ANGELES BLADE entered its second year of publication with its January 12, 2018, issue. METROSOURCE, based in New York City, entered its 29th year of publication with its February/March 2018 issue. ALEX MORASH is the new director of media and public relations at the NATIONAL LGBTQ TASK FORCE in Washington, D.C. He previously wrote about economic policy at MEDIA MATTERS. PEACH ATL, based in Atlanta, entered its second year of publication with its January 3, 2018, issue. FRANK PEREZ, columnist for New Orleans-based AMBUSH, is teaching three courses at Delgado Community College this semester in tour guiding and French Quarter history. PHILADELPHIA GAY NEWS entered its 42nd year of publication with its January 5, 2018, issue. Q MAGAZINE, based in Key West, Fla., entered its 13th year of publication with its January 2018 issue. THE RAINBOW TIMES, based in Boston, entered its 11th year of publication with its January 4, 2018, issue. JEREMY RODRIGUEZ, a staff writer at PHILADELPHIA GAY NEWS, is now the publication’s interim editor. He takes over for JEN COLLETTA, who left the newspaper late last year. SEATTLE GAY NEWS entered its 46th year of publication with its January 5, 2018, issue. WILLIAM SIEVERT, an award-winning journalist, writer and columnist with LETTERS FROM CAMP REHOBOTH, died November 19, 2017, of cancer. He also wrote for the THE ADVOCATE, MOTHER JONES, ROLLING STONE, the WASHINGTON POST and the LOUISVILLE TIMES. He was 70. SOUTH FLORIDA GAY NEWS, based in Wilton Manors, Fla., entered its ninth year of publication with its January 3, 2018, issue. THE WASHINGTON BLADE entered its 49th year of publication with its January 5, 2018, issue. WATERMARK entered its 25th year of publication with its January 11, 2018, issue. WIREMAG, based in Miami, entered its 30th year of publication with its January 4, 2018, issue. Miami’s Pallette magazine, published by the Miami Herald Media Company, ended publication with its December 2017 edition. The magazine was three years old. Schulz-Corrales said the LGBT community is still being covered by the Miami Herald’s Gay South Florida channel. “After three years, it’s incredible to think that this is the last issue of Palette,” the magazine wrote to readers. “… Having started with so many lofty goals and riding a wave of exhilarating national milestones, we’re sad to see it all end. 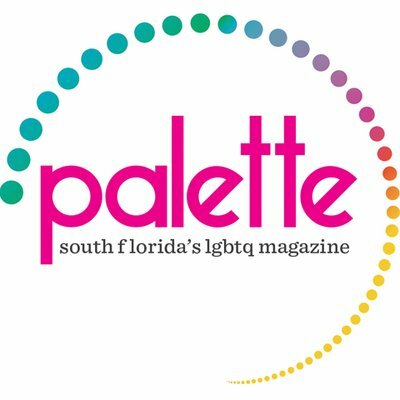 In December 2016, Palette announced a partnership with the Miami-Made Gay and Lesbian Chamber of Commerce. The organization’s Clarity Business Magazine was to be published inside of Palette in three of its six editions – February/March, June/July and October/November. Other issues featured several pages on the Chamber’s programming, initiatives and market outreach. 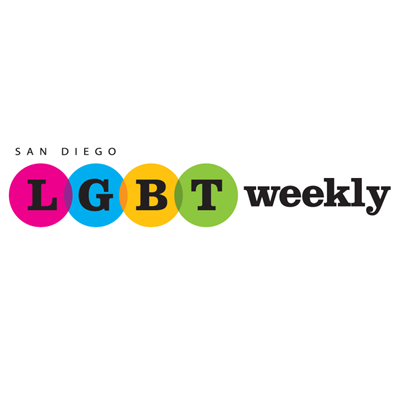 San Diego’s LGBT Weekly has suspended its print edition, but its web site continues to operate. Publisher Stampp Corbin explained he made the decision for personal, not financial reasons. Corbin now lives in Los Angeles, where he has returned to the health care field after a long absence. “I didn’t even make a real effort to sell [the publication],” Corbin said, noting the fate of LGBT Weekly - which celebrated its seventh anniversary in its December 7, 2017, issue - remains in limbo. Publishing a newspaper came out of the work he was doing for the Obama presidential campaign in 2007. Corbin served as campaign co-chairman for LGBT issues. 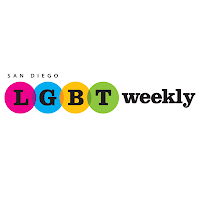 LGBT Weekly’s website is getting 50,000-100,000 visitors a month, Corbin noted. “From an economic standpoint, if I was going to close down print, then you really can’t be a viable Internet business with that kind of traffic,” he added. 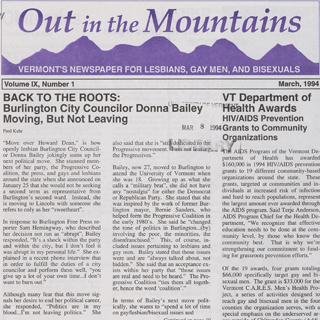 Bay Area Reporter, based in San Francisco, and Out In The Mountains, which was Vermont’s only LGBT newspaper from 1986 to 2007, now have some or all of their archival issues online. The GLBT Historical Society in San Francisco has been leading the effort to digitize back issues of Bay Area Reporter, which began publishing in 1971. Readers can access a digital archive of articles published as far back as 2005. But older articles had only been available at the Society’s physical archives or on microfilm in libraries. But the Society announced last month that they now have complete issues from 1995 to 2005 posted and full searchable. The Bob Ross Foundation, named after BAR’s founding publisher, who died in 2003, donated $50,000 to the historical society in 2016 to purchase the state-of-the-art equipment needed to digitize the newspapers, the BAR’s story explained. 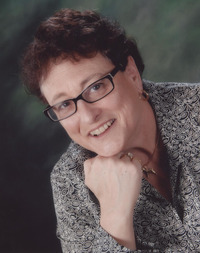 Terry Beswick, executive director of the Society, was a freelance reporter for BAR in the mid-1990s and joined the staff as a full-time news reporter in 1999 and 2000. And former BAR publisher Thomas E. Horn is president of the Bob Ross Foundation, which has a minority ownership stake in the newspaper. He told BAR that the digital archival collection will be "an indispensable tool" for telling the LGBT community's story. 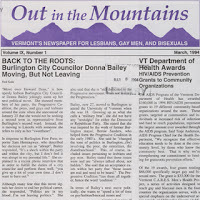 On the other side of the nation, the entire print run Out In The Mountains (OITM), which was based in Burlington, Vt., and ceased publication in 2007, is now part of the digital collection of the University of Vermont Libraries. 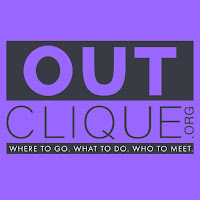 PPQ: What feature or features of OutClique have been the most popular with readers? Evans: Our arts and entertainment. We do a lot of exclusive interviews with talent that come to South Florida. We also feature local groups and shows. Additionally, our LGBTQ lifestyle section includes topics such as dating, wellness, fitness, fashion, spiritually, shopping, and South Florida as a travel destination. Evans: We are always “out” on the town with events and what’s going on. “Clique” came from a group of people that have the same interest, it’s the sound a camera makes, and it’s the sound a mouse makes. So, it’s a triple entendre! Evans: Mostly, being new in the market. 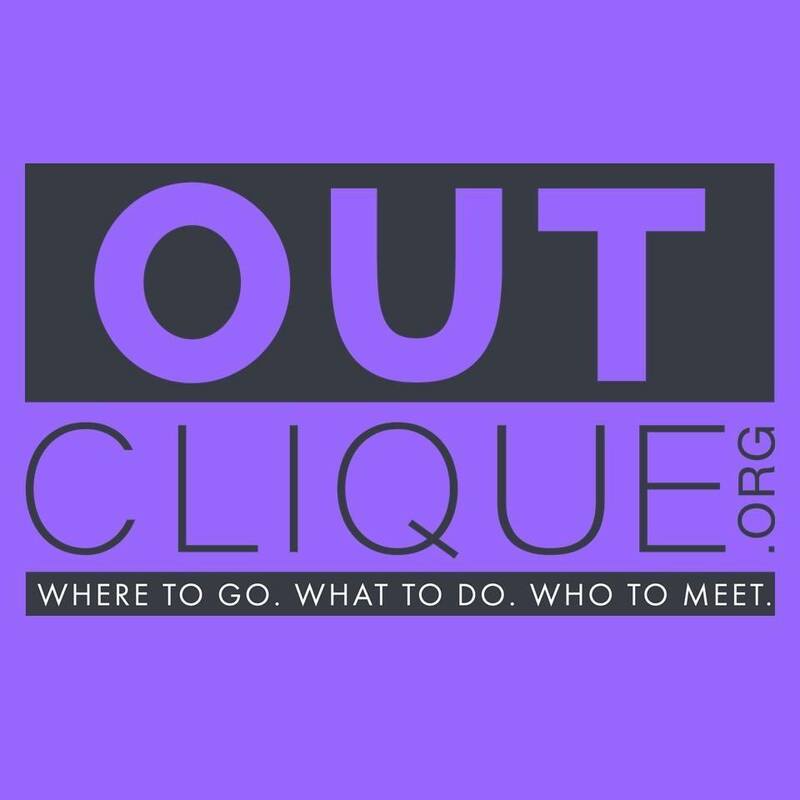 PPQ: What challenge or challenges is OutClique facing now? Evans:: Working to expand our horizons. Our print, website, mobile app, video, and social media have all expanded our reach. PPQ: How has the magazine changed since it was first launched? Evans: We have moved beyond being a traditional print magazine. We offer a complete marketing approach. Our digital, print, and video enterprises work together for our clients. PPQ: What has been the biggest news story or stories OutClique has covered? Evans: It’s hard to choose just one. But our cover story for December 2017 for Cirque Dreams Holidaze at the Broward Center for the Performing Arts was an amazing display of what we can do. We did an original photoshoot for the cover, provided content in the magazine, shot and produced custom videos of the pre-show run, created a social media campaign, and promoted it online. It was an honor to be part of such a fantastic show and the Broward Center. Evans: We are about a 6. We are very “PG” in terms of content, which allows us to be in places like Starbucks. We appeal to the local gay reader and traveler, while still reaching a wider market. Evans: One reader said, “I keep your magazine in my bathroom.” Over and over I hear, “I actually read your publication.” Print is not dead. People are engaging with our content — and thus advertisers. They go to the shows. They buy the products. In the “short” time that we have been in production, our marketing efforts are working. Evans: Beef up on two things. One, your project management skills. There’s a lot of moving parts. And two, your people skills. Everyone will do business with you because of who you are first, and your product second.